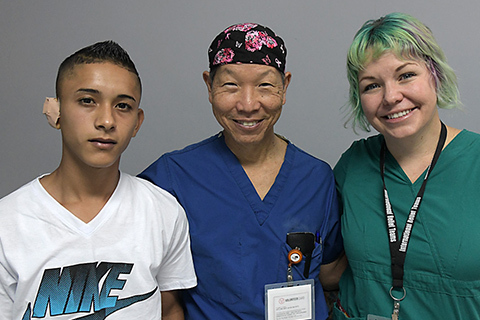 · Evelyn Snyder, an IRT volunteer of 22 years and a retired registered nurse, has treated surgical patients on four continents. Evelyn recently celebrated her 50th year as a nurse, a profession she wanted since she was in second grade. In 1969, she moved to the United States. “After I came here I sent most of the money I earned back to my family so my siblings could get through college,” she explained. 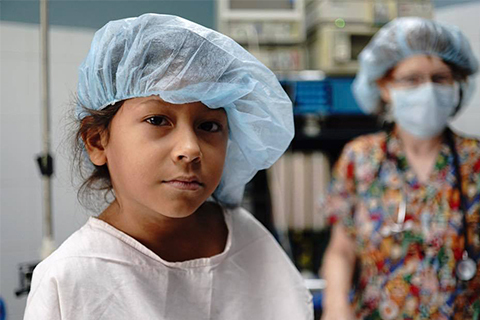 That desire to help others has been carried throughout her life. 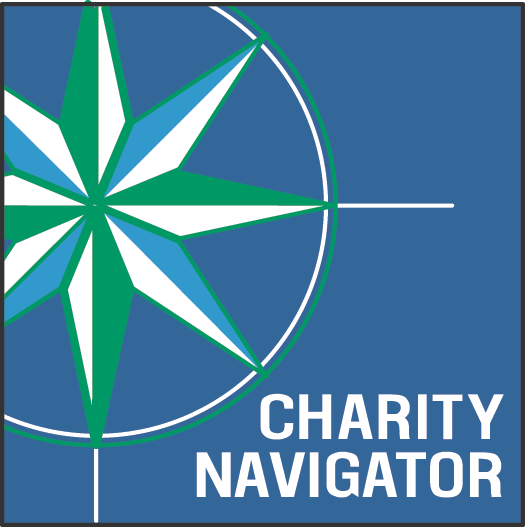 Evelyn has traveled the world volunteering with Rotarians and International Relief Teams, providing much needed aid to hundreds of people. 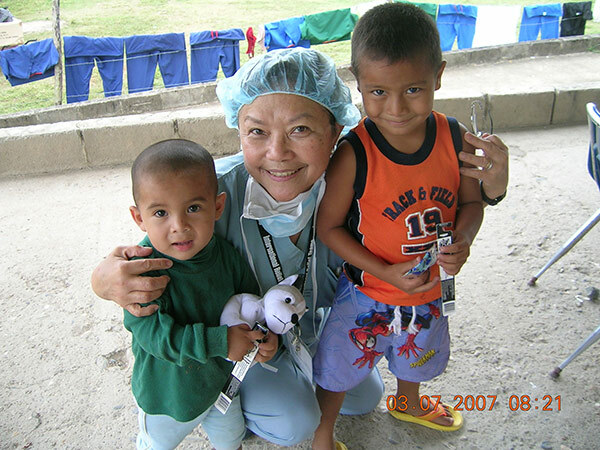 Evelyn with two patients in Sula, Honduras in 2007. 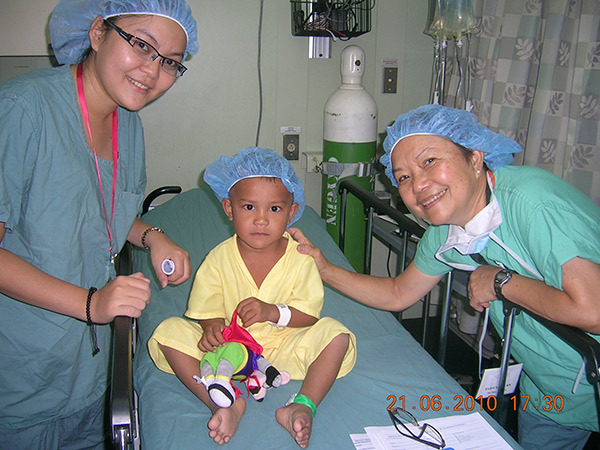 Evelyn preps a young patient for surgery on the USNS Mercy in Cambodia, 2010. 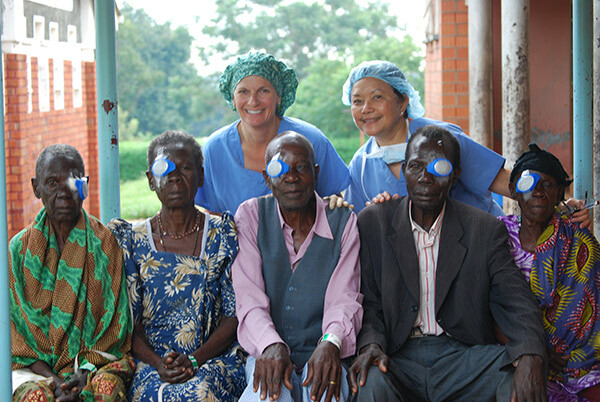 Evelyn (right) stands with five patients after cataract surgery in Uganda in 2010. Evelyn now lives in San Diego with her husband. 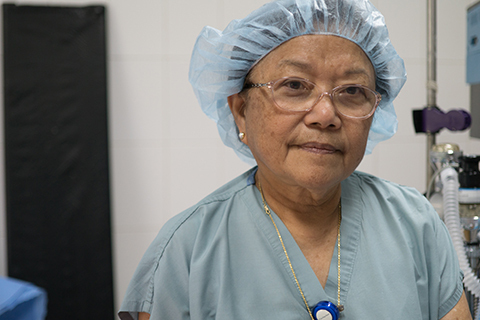 Though retired and 72-years-old, she still works one day a week in an operating room. In addition to volunteer work, she likes camping, bicycling, and gardening. 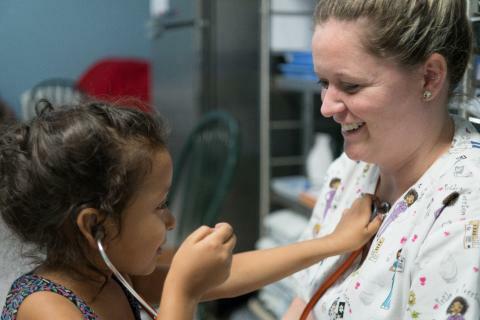 Four years ago, she was a member of a surgical team to Sula, Honduras to help IRT’s yearly ear, nose, and throat week-long surgery clinic. 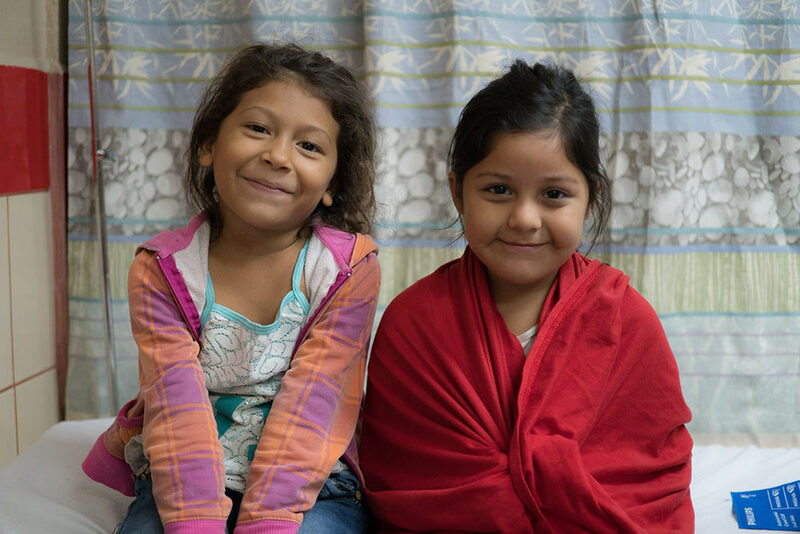 “A nine-year-old boy came in and told me he didn’t want to come because his shoes were dirty, with holes, and were worn out,” Evelyn explained. “I felt so sorry for him. I told him we could make them look clean and new. I got operating room shoe covers and put them on his shoes. Snyder said growing up poor in a country like the Philippines did influence her desire to volunteer. She said on every team she sees how people live, and how grateful they are for the help. She receives a lot of self-satisfaction from giving back what she has learned.